Caleb is an Atypical, an individual with enhanced abilities. Which sounds pretty cool except Caleb's ability is extreme empathy—he feels the emotions of everyone around him. 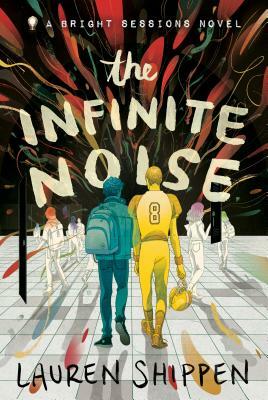 Being an empath in high school would be hard enough, but Caleb's life becomes even more complicated when he keeps getting pulled into the emotional orbit of one of his classmates, Adam. Adam's feelings are big and all-consuming, but they fit together with Caleb's feelings in a way that he can't quite understand. Caleb's therapist, Dr. Bright, encourages Caleb to explore this connection by befriending Adam. As he and Adam grow closer, Caleb learns more about his ability, himself, his therapist—who seems to know a lot more than she lets on—and just how dangerous being an Atypical can be.